Five years: That’s how long it’s been since The Shins released their last record. It’s not necessarily an exorbitant amount of time, but a lot can change in five years. Five years ago, I was in the second semester of my freshman year of college where my daily activities typically consisted of going to class and sleeping—sometimes simultaneously. However, when I wasn’t struggling to stay awake through whatever math class I was forced to take, I tended to listen to a lot of music (Surprise, surprise). I didn’t even know then that I wanted make a career out of listening to music. And thinking about music. And talking about music. And writing about music. But I did know that The Shins had just released Wincing the Night Away, and that was all that mattered as I laid on my dorm-room bed, headphones on while the album washed over me. I had only fairly recently become a fan of the band, and I was introduced to them the way most were—via a beautiful girl and a movie I promised myself I wouldn’t reference in this review. (Damnit!) But honestly, if it hadn’t been for the Garden State soundtrack and Natalie Portman telling me The Shins would change my life, I wouldn’t have been exposed to indie music—or it would taken a little while longer, at least. When that film came out in 2004, I had yet to find a connection to contemporary music. I didn’t listen to the radio. Hell, I’m not even sure I had an iPod yet. Instead, I carried around my portable CD player and a case of classic albums like Abbey Road or Tommy that I had learned about through my parents or my friends’ parents. A lot has certainly changed for The Shins in the five years since the band’s last release. Frontman James Mercer sent the band through a full lineup change before putting The Shins on hiatus, choosing to focus on Broken Bells, his collaboration with Danger Mouse. Now, the band is ready to unveil one of indie music’s most anticipated albums. Obviously, such a record comes with a lot of hype and expectation. The Shins’ fourth LP, Port of Morrow, had a lot to live up to, but the result is well worth the wait. 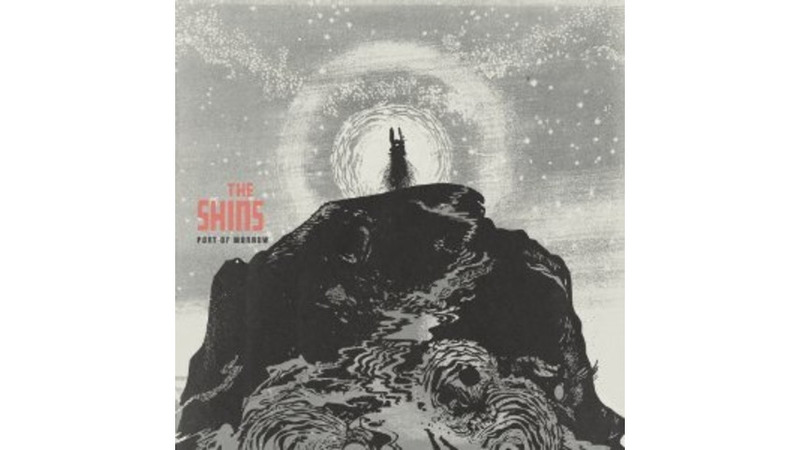 Right from the start, the album feels like a Shins record. James Mercer’s songwriting is at the heart of the band, but it’s nice that despite the lineup changes and the time off, the sound of the band has remained intact as well. That’s not to say that Port of Morrow is overly familiar. There’s just enough of the band’s past in the songs to make the listener immediately feel at home, but in addition, the record has an incredible freshness to it. At one end of the spectrum lies “Bait and Switch,” which feels most like a traditional Shins song. At the other end is the album’s closer and title track “Port of Morrow.” The latter sounds more Broken Bells-influenced than anything else on the record, but there is something extra present. It really doesn’t even quite sound like a Shins song, but it fits so perfectly. Everything else falls somewhere between. Basically, it’s all a Shins fan would want to hear from a Shins record after five years combined with a taste of what they can expect from the future. Mercer has admitted that working with Danger Mouse on Broken Bells alleviated his fears about working with producers, and it’s pretty clear, even from a first listen, that the songwriter allowed for production to take a better seat on the new album. However, the production doesn’t feel overbearing or intrusive. In that sense, it’s a lot like the treatment on Chutes Too Narrow. The songs sound amazing while still retaining a very intimate, organic quality that makes them so powerful. I also wish that I were writing this several months down the road because I know that Port of Morrow is an album I’m going to be listening to for a long time to come, and I’m sure I’ll have even more to say about it then. But as of right now, I’m in love with this record. It’s just so utterly satisfying.